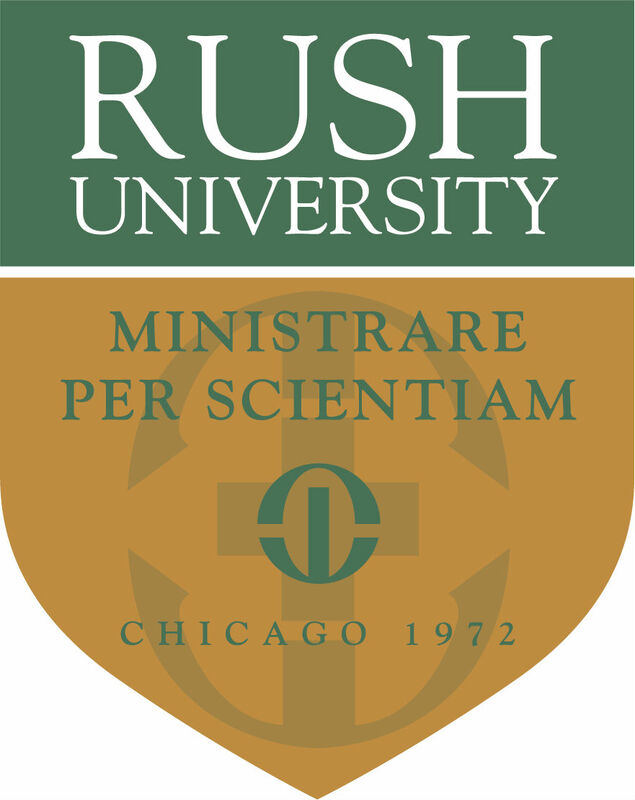 The seal of Rush University is a shield, a classic Greek symbol of preservation and protection and also a medieval British emblem used for identification. It recognizes the University’s overarching commitment to educating health professionals who preserve life and protect patients. Its two colors, green and gold, merge the tradition of the past with the custom of the present as old gold was the single historical color of Rush Medical College and green is used for the modern Medical Center. The motto, “ministrare per scientiam,” translated from Latin, means to “minister (care for or serve) through scientific knowledge.” The Board of Trustees adopted this in September 1993 to reflect the commitment to educate caring professionals whose practice is based in knowledge. The shadow in the background is the anchor cross, a symbol of hope and steadfastness, which became the emblem of the merged Presbyterian and St. Luke’s hospitals in 1957 and the foundation that created the vision for Rush University. Superimposed on top is the stylized version of the anchor cross that was adopted in 1971 upon the merger of Rush Medical College and Presbyterian-St. Luke’s Hospital. The final elements are Chicago, the city that is home to the University, and the date of the University’s founding, 1972. The Rush University Board of Overseers adopted the seal in 1999.